Seen by Cyriacus in 1444 CE on the right side of the altar in the church of the Virgin Mary. The Greek text of the Sibyl’s utterance is partially corrupted and the translation in AGRW is just one option. Devotees of the god Dionysos used the cry “euoi!” or “euai!” in rituals. 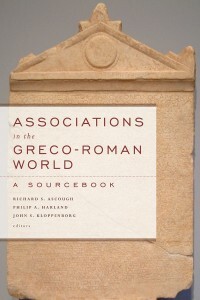 This was set up by Spellios Euethis, the head cowherd (archiboukolos); Herakleides son of Alexandros, the head of the initiates (archimystēs); Alexandros, the leader of the company (speirarchos); Arrianos son of Agathias; Heroxenos son of Magnus; Soterichos son of Dadas; and, Menophilos son of Menophilos. [εὐτυχεῖτε] | χρησμὸς Σιβύλλης· ἐπὰν δ’ ὁ Βάκ|χος εὐάσας πληστα, ό αἷμα | καὶ πῦρ καὶ κόνις μιγήσεται. || Σπέλλιος Εὐήθις | ἀρχιβούκολος | Ἡρακλείδου Ἀλεξάνδρου | ἀρχιμυστοῦντος | Ἀλέξανδρος σπείραρχος || Ἀρριανὸς Ἀγαθία | Ἡρόξενος Μάγνου | Σωτήριχος Δαδα | Μηνόφιλος βʹ.